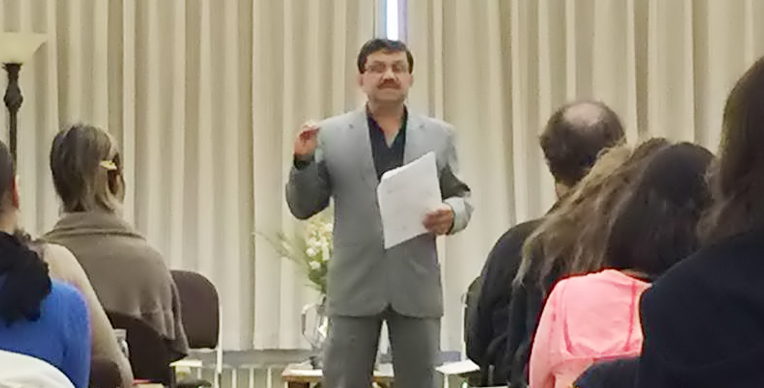 “Ayurvedic Natural Weight Management”, California Naturopathic Doctor’s Association, Pasadena,2013. “Evidence based Cancer Treatment”, Association of Ayurvedic Professionals of North America, Las Vegas, 2013. “Let Everyone Be Well”, National Ayurvedic Medical Association Annual Conference, Seattle, 2012. “Ayurveda and Cardiology”, World Conference AYU-Indian Complimentary Medicine, Pune, India, 2012. “Ayurvedic Treatment of Cancer”, University of California San Francisco, Osher Center for Integrative Medicine, CA, 2011. ”Ayurvedic Approach to Cancer Treatment”, New Jersey Medical School, New Jersey, 2010. ”Ayurvedic Approach to Cancer Treatment”, Wyckoff Heights Medical Center, New York, NY, 2010. “Acne & Rosacea Treatment with Ayurveda”, Japan Ayurveda Association Conference, Tokyo, Japan,2008. “Ayurvedic Health Approaches”, Proctor & Gamble, Geneva, 2006.